Today, I have decided to prepare a batch of soda crackers and this time I have given adequate proofing time of 3 hours in the fridge. 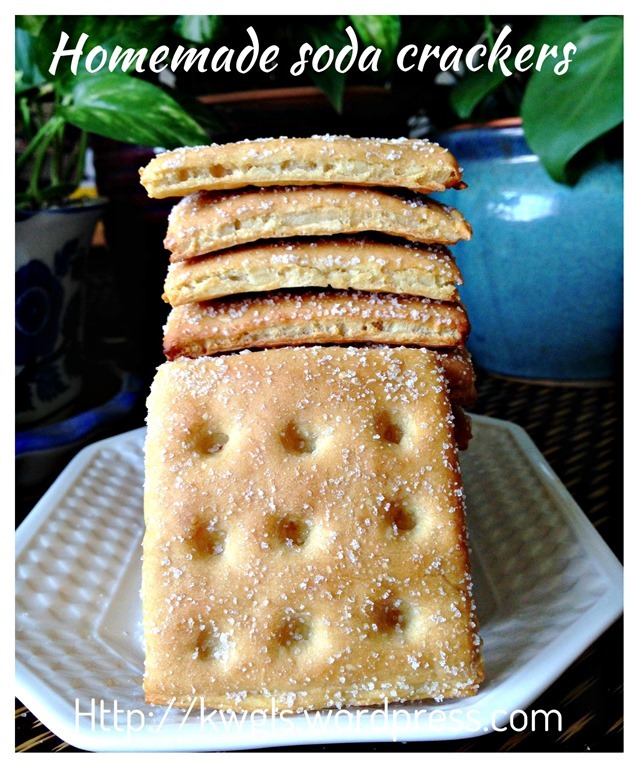 Instead of putting oregano, I decided to sprinkle sugar on top of the soda crackers. 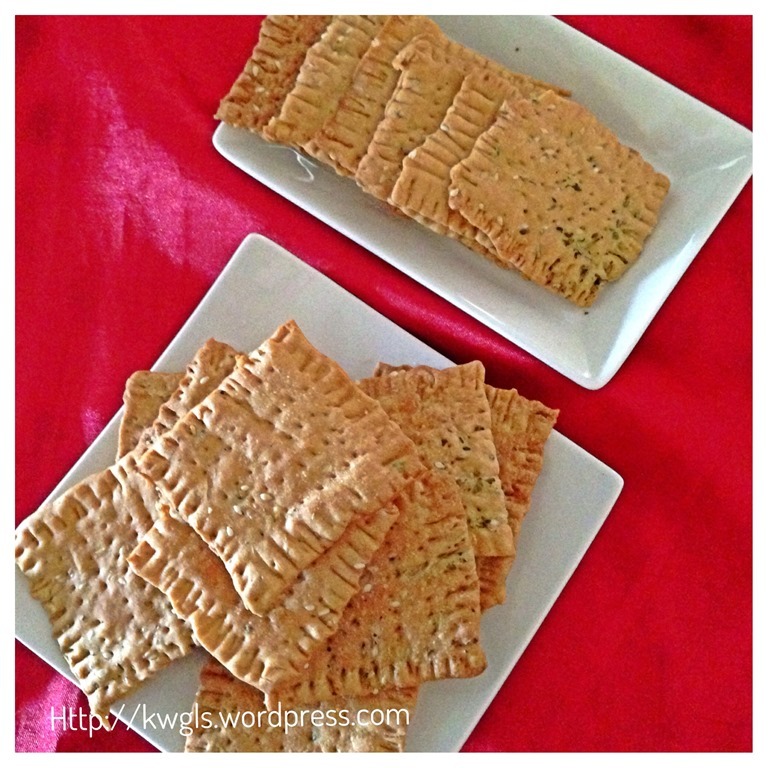 the crackers are much better that the earlier batch. Much fluffier and crispier. 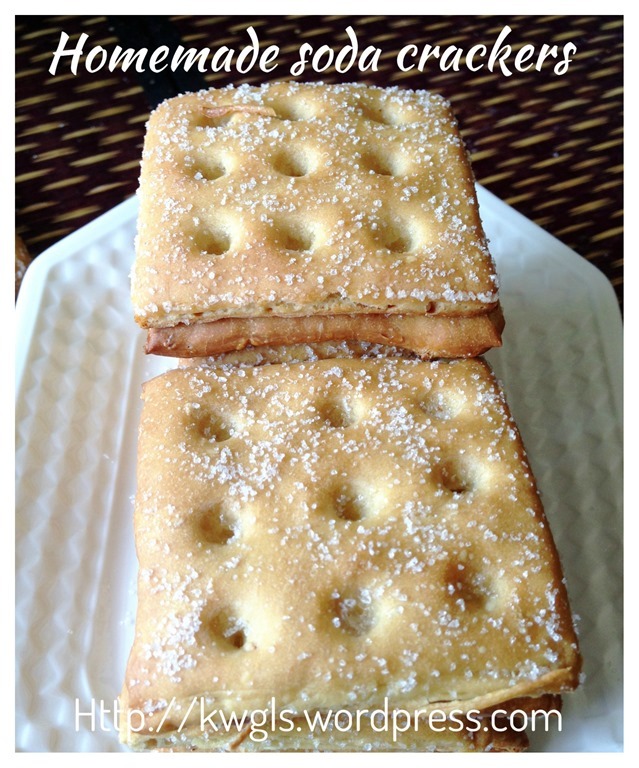 If you would like to some homemade crackers, you can try this recipe. I have tried today again and it is the best batch among all the three batches I prepared. I have used self raising flour instead and proofing for about 5 hours. In addition, I have let it proof for another 1/2 hour before baking. 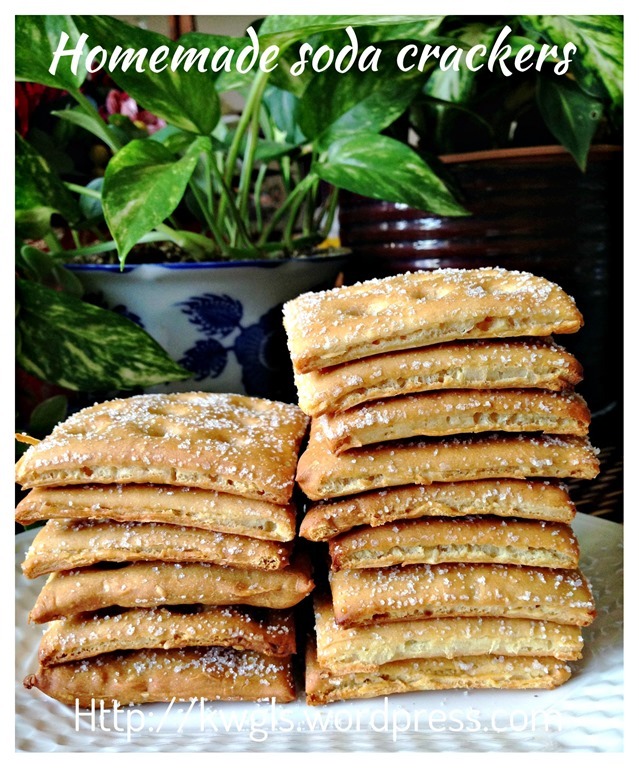 Today, I am sharing with all this post on Soda Crackers, some crackers that I used to eat when I was young. 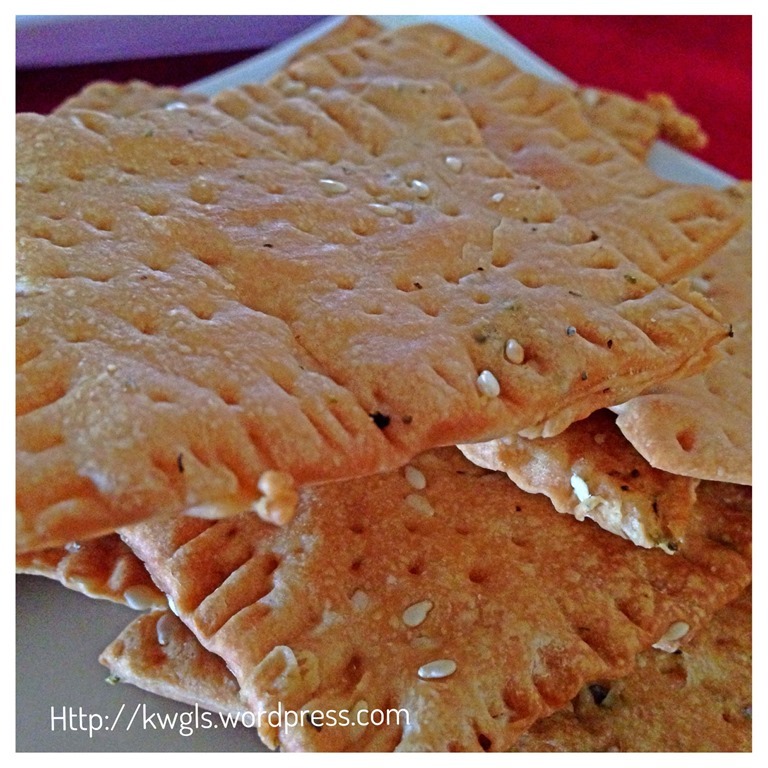 The crackers was crispy and it is definitely an achievement to have some home made crackers. The shape still needs improvement and I should have prove it for a longer time instead of the minimum one hour stated. The original recipe call for proofing of at least 1 – 18 hours and I proofed only with the minimum of 1 hours. 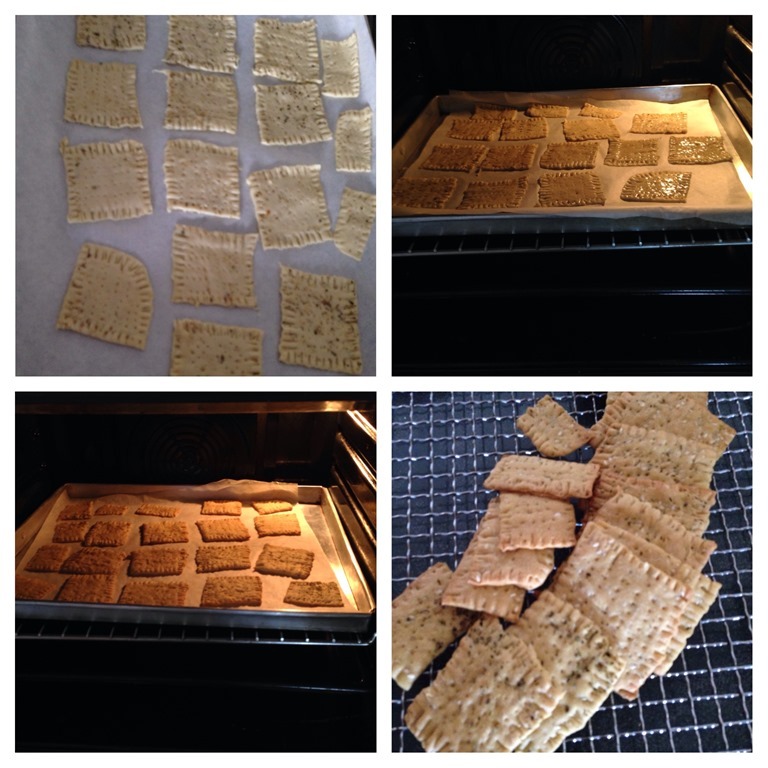 The shorter proofing period have also made my crackers slightly harder than the commercially sold soda crackers. Putting that aside, the taste is awesome and it tasted especially nice when you have one in your hand while watching television. 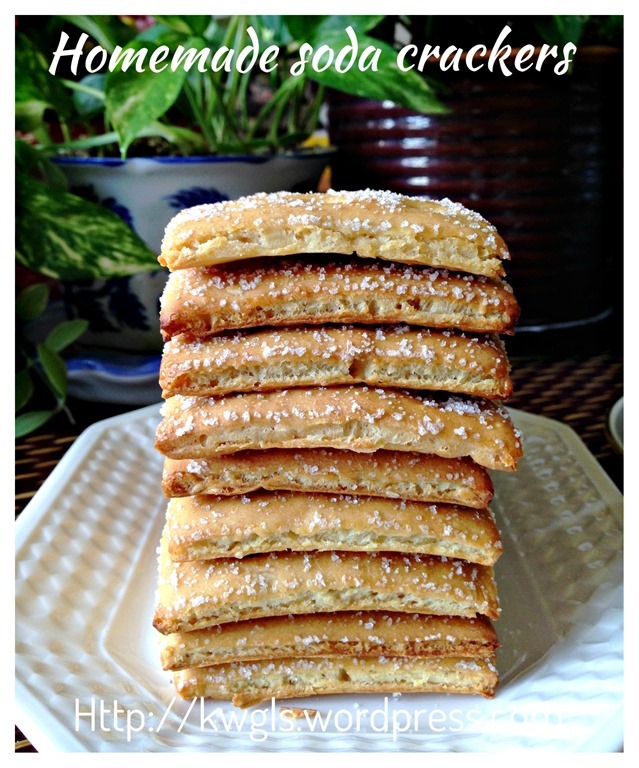 I have modify the recipe a bit by incorporation of some oregano herb and sesame seeds. It definitely enhance the taste of normal crackers. Pre-heat the oven to 230 degree Celsius.and line 2 baking trays with baking paper. 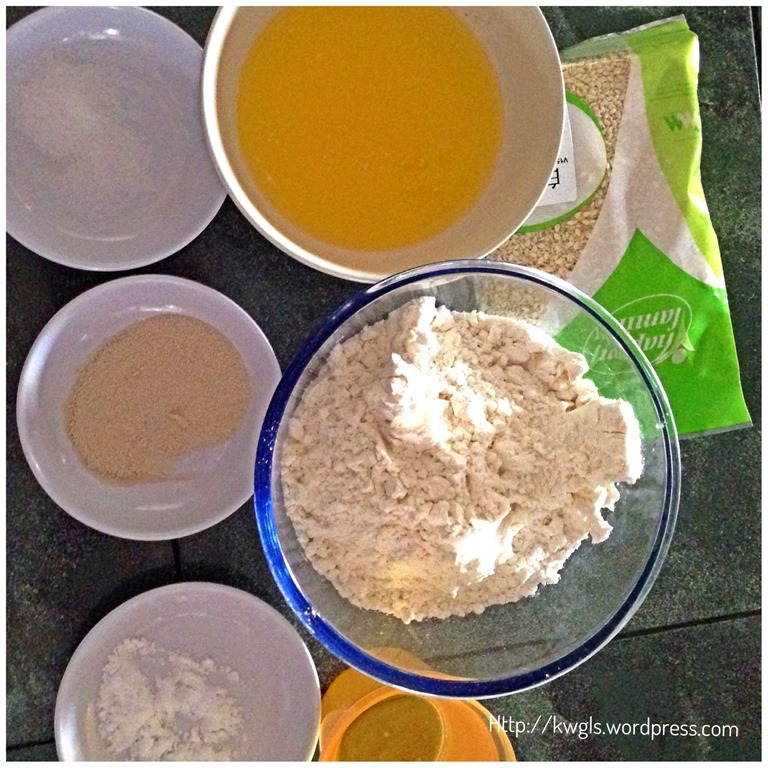 In a big mixing bowl, put together the dry yeast, water, flour, salt and baking soda. Use a dough hook to beat until a soft ball is formed and cleaned of the sides of the bowl. 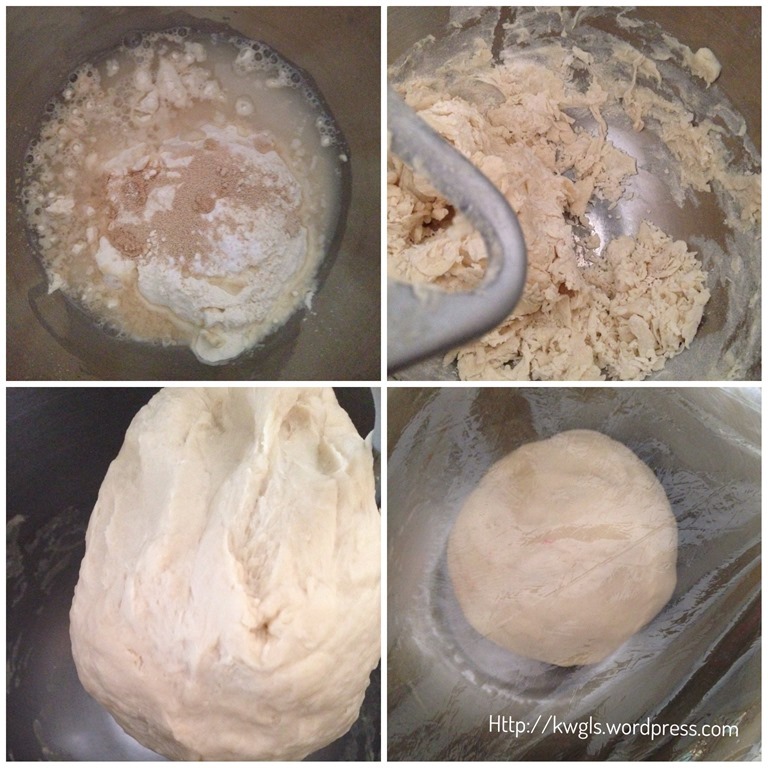 If the dough is too soft, add a bit of flour to firm up the dough. Put in a lightly grease bowl, cover with clingy wrap and proof in the fridge for at least 1-18 hours. The longer the better. 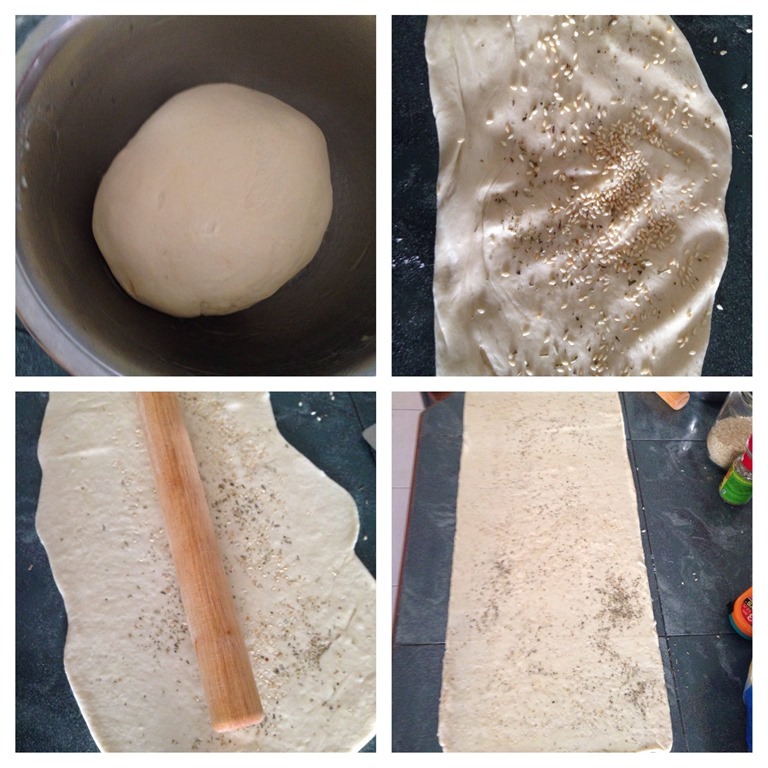 Take out form the fridge and use a rolling pin to roll the dough into a thin sheet. Sprinkle oregano and sesame seeds as evenly as possible. Roll again in the rectangular shape. (about 15 cm x 45 cm x 3mm). Use a knife or a pizza cutter to cut it into 5 cm x 5 cm square. Lightly brush with a solution of butter with water (1 tablespoon of butter with 2 tablespoon of water).. Use a fork to press again the sides. 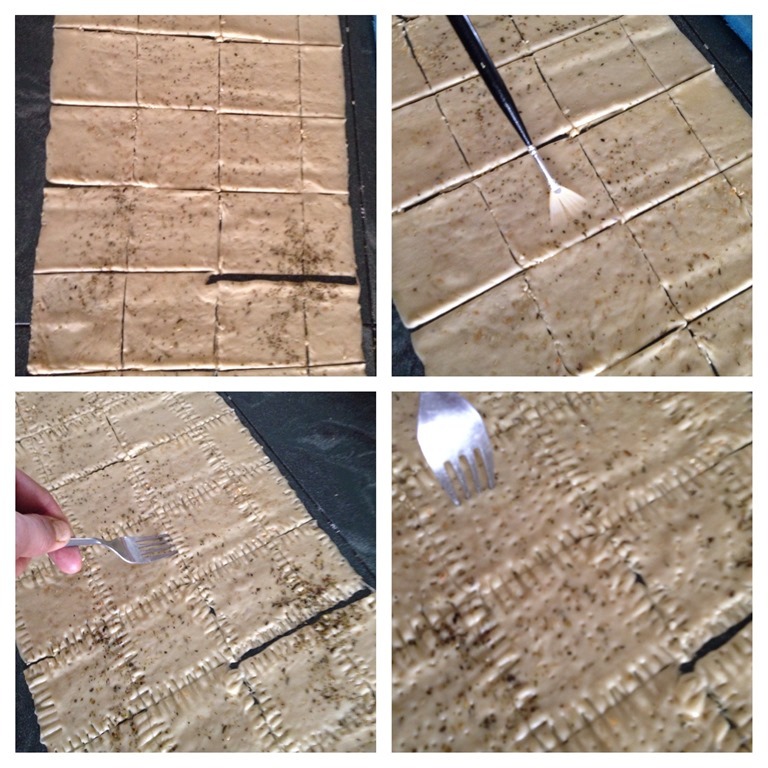 Use the fork to make some holes in the centre with the desired pattern. Let it proofed again for another 30 minutes. Bake in the oven for 15 -20 minutes until golden brown or slightly crispy. Take out from the oven, transfer to the rack and brush lightly with melted butter (optional). Let it cool completely and keep in an airtight container. For sugar sprinkled crackers. just follow the recipe above. 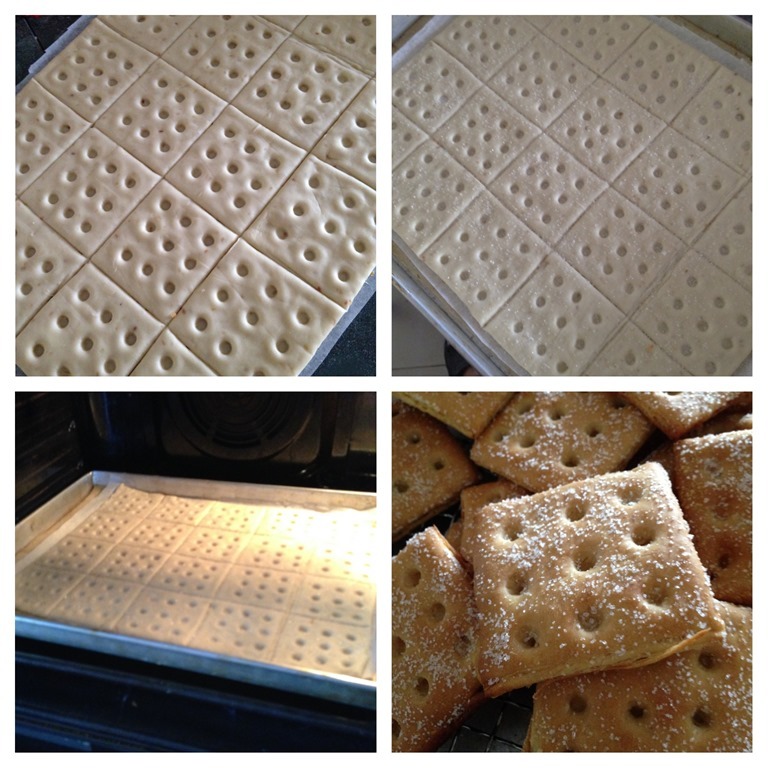 Create your desired patterns, sprinkle sugar on top of the crackers and bake in the oven for 15-20 minutes. 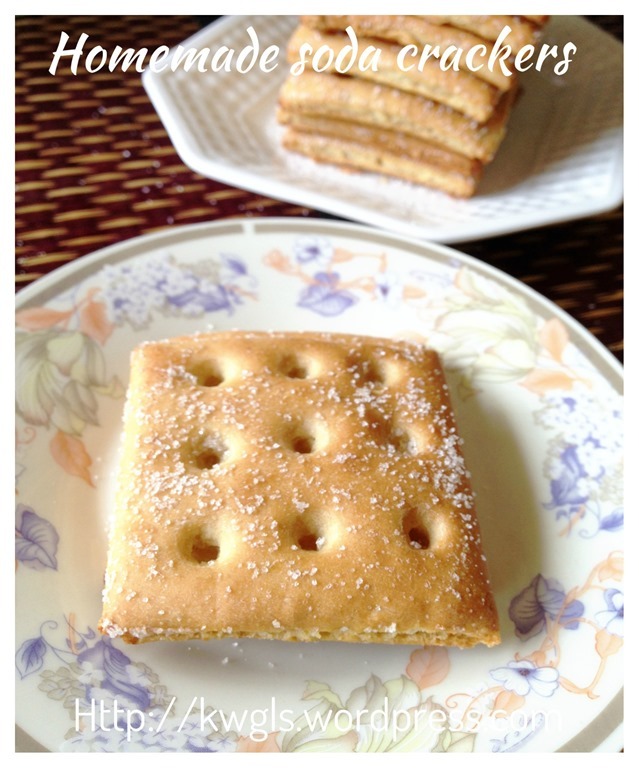 It is an achievement to my own self to have some home made crackers. One thing that I regretted is I may have to proof it longer. Well, for the next attempt, I will proof it overnight and I believe the texture will improve. Though less crispier than the commercially sold soda crackers, I still feel that it is very nice. Surprisingly the kids also did not complain about it. So is my wife who have rejected all sorts of biscuits… Is it because that she dare not to complain to me? Well, ask her and we have finished the whole batch within 2 days.. 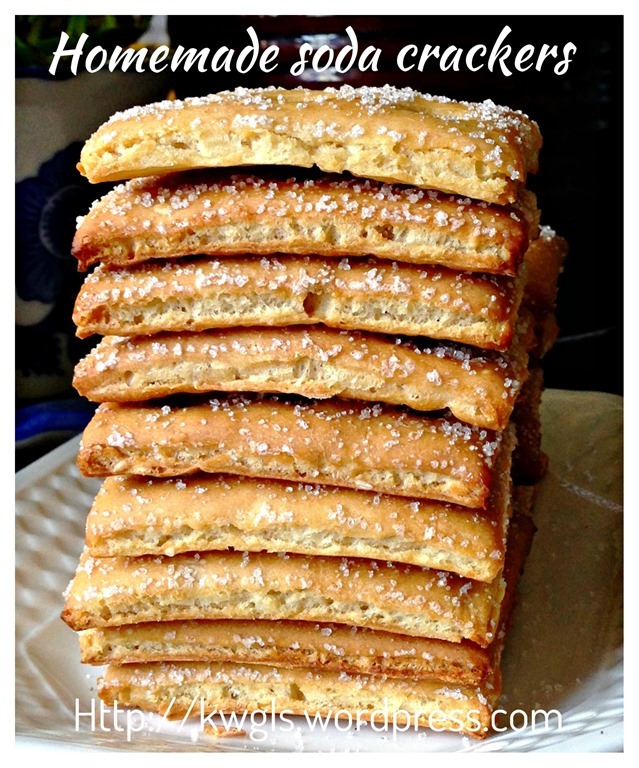 This entry was posted in Cakes and cookies, FOOD, FOODS.... and tagged 8, crackers, Guaishushu, home made soda crackers, postaday, soda, soda crackers. Bookmark the permalink. Kenneth, I love saltine crackers and eat them all the time as a snack but I have never tried to make crackers. 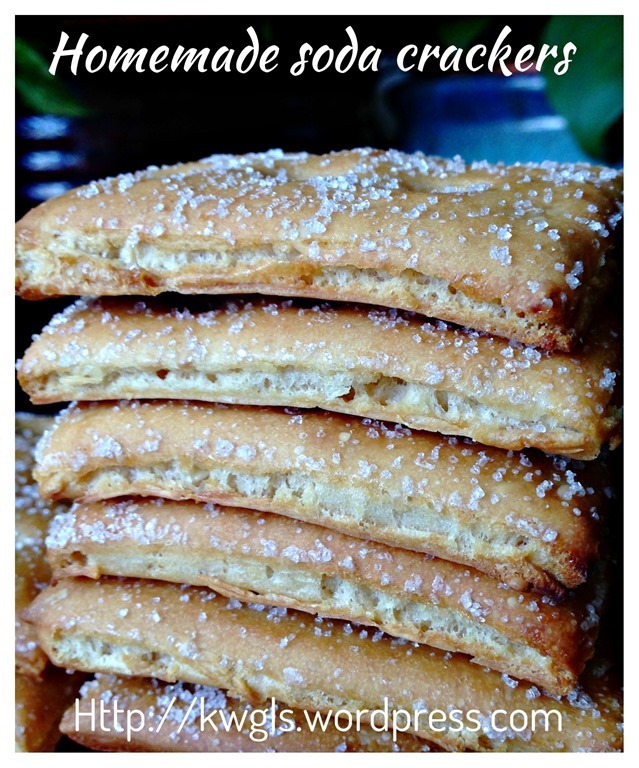 These sound really good with the oregano and sesame seed flavoring. it sounds like an interesting project. 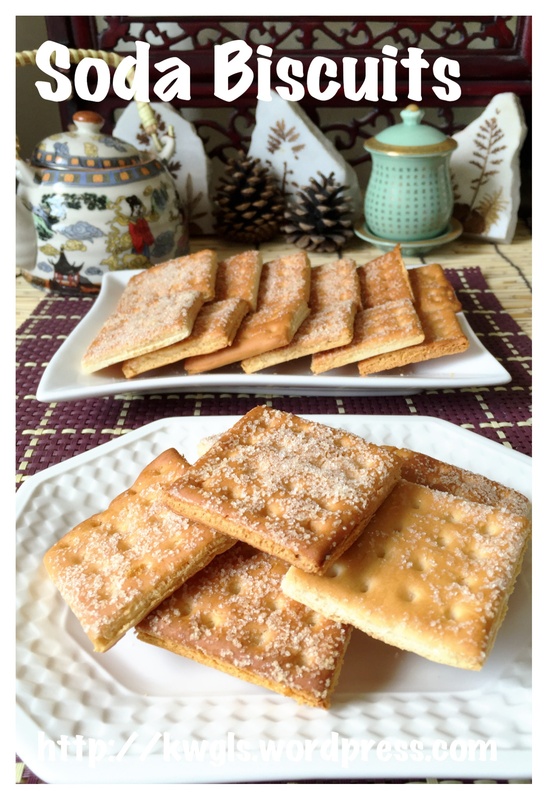 I am definitely going to try making these – looks the sort of thing I love to eat and I’ve never made this type of cracker before. Pinned! These crackers look yummy! Thanks for sharing on Saturday Night Fever! Pinning this now! See you again this week! just to confirm if 2 tablespoon yeast is needed , and may I know what type , wet one or the instant yeast . Thank a lot . How come my dough very wet? After taking out of the fridge what is the texture of the dough? ? It should not overly wet . Try add a bit of flour .